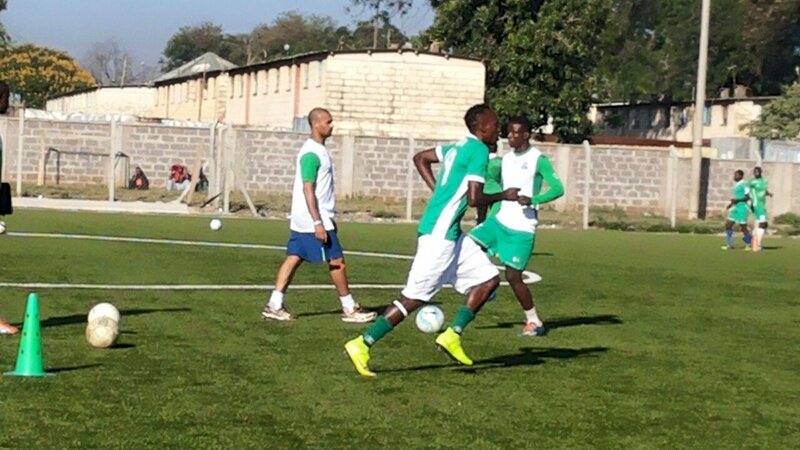 Gor Mahia traveled to Muhoroni for a friendly against Muhoroni Youth on Sunday. Per Judith Nyangi, the team traveled by road. Gor Mahia then put on their most convincing performance of 2017 yet when they dismissed a Muhoroni side that is currently battling relegation by boardroom by a score of 4-1. It was the hosts who took the lead in the early stages of the match. Gor Mahia’s equalizer came via Rwandese import Jacque Tuyisenge who netted from the spot. The teams went to breather at 1-1. Tuyinsenge was on target again, scoring a Timothy Otieno cross. Then new signing Kenneth Muguna added the third goal. Meddie Kagere added the fourth goal and once again the assist came from Timothy Otieno. It was Gor Mahia’s first convincing win of 2017 and will go some way towards assuaging fans concerns. 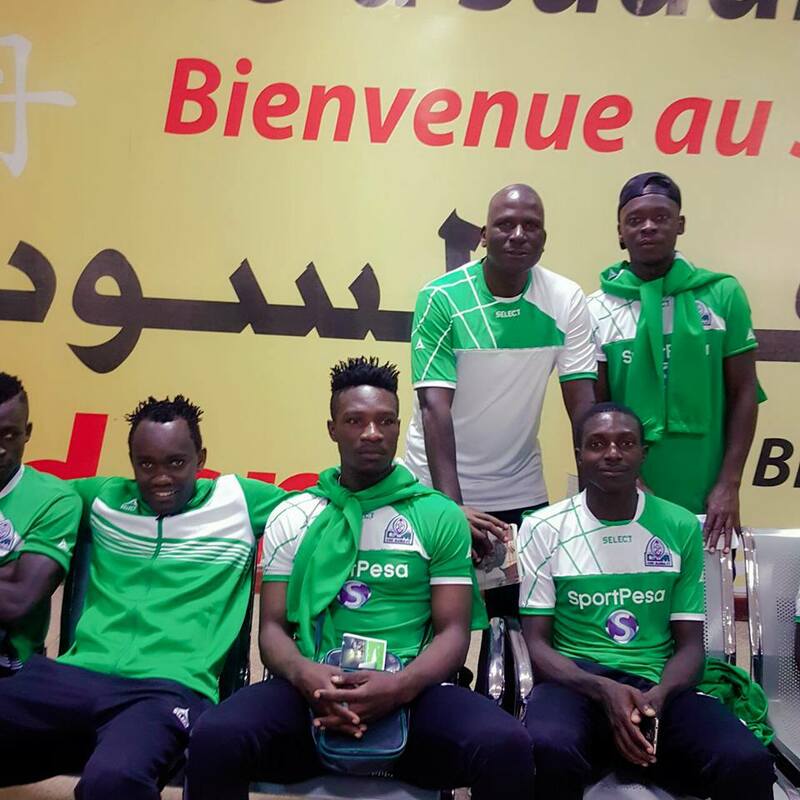 Gor Mahia: Boniface Oluoch, Wellington Ochieng’, Joash Onyango, Musa Mohammed, Karim Nizigiyimana, Godfrey Walusimbi, Jean-Baptiste Mugiraneza, Kenneth Muguna, Ernest Wendo, Jacques Tuyisenge, George Odhiambo. Subs: Peter Odhiambo, Meddie Kagere, Olivier Maloba, Philemon Otieno, Francis Kahata and Timothy Otieno. 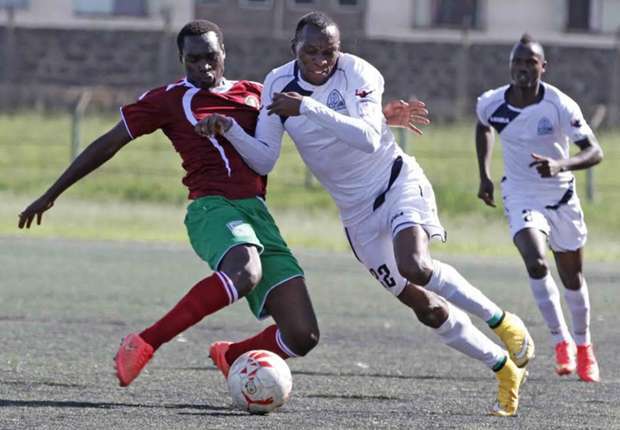 After having been locked out of their offices at Nyayo stadium, Gor Mahia have also been locked out of their training ground at Camp Toyoyo in Jericho estate. They will now use Parklands Sports club as their training ground. One players told the Standard that they arrived at Camp Toyoyo only to be told that they would not be allowed to use the facility. “We arrived at the training ground only for the management to ask us to leave because the office has not paid up. On Tuesday, we trained at Kasarani and today we have been asked to report for training at Parklands Sports Club,” said the player. said the player. And official also confirmed the situation. Chairman Ambrose Rachier confirmed that after being removed from Nyayo stadium, the club will be looking for a smaller space to rent. I am sure you also owe someone money,” said Rachier, adding “We have debts and are trying to clear them. Our offices have been shut down and we are talking to the people concerned while trying to reach a settlement, which may involve leasing a smaller affordable space.” he said to the Nation. And with Gor Mahia chairman being at loggerheads with FKF, the club could be found in default of the new licensing rules which requires every premier league club to have a secretariat and lease agreement for a training ground and stadium for the whole season. It has been officially announced that former Gor Mahia full back and coach Zedekiah Otieno “Zico” is set to make a comeback to the club. This time he will be an assistant coach replacing Tom Ogweno. His experience will come in handy in our intentions to reclaim the league title this season,” said Gor Mahia chairman Ambrose Rachier to the Nation. Zico joined Gor Mahia as a player in 1990. In 1990 he played alongside the veteran Austin Oduor was player/coach.. In the mid 1990s he was part of one of the strongest defensive units Gor Mahia ever fielded with players like Tobias Ocholla, Sammy Omollo “Pamzo”, Paul Ochieng “Kunde” and Joseph Owino “Andai”. That defense was responsible for the fact that Gor Mahia won the league 4 times (1990, 91, 93 and 95). The team was winning despite having a very low offensive output. But thanks to that solid defense, they conceded very few goals. Zico excelled in being a solid defender and also being able to make frequent runs on the right wing to send crosses. The best performance that Gor Mahia has ever achieved in the Africa champions cup or CAF champions league was in 1992 when they reached the quarter-finals. In the second round they eliminated Cameroonian giants Canon Sportiff de Yaounde. It was Zico who scored the away goal as Gor Mahia held Canon 1-1 in Yaounde. Zico stayed with Gor Mahia until the late 1990s. He later embarked on a coaching career. He took over at Gor Mahia in 2010, replacing Gideon Ochieng “Agido”. 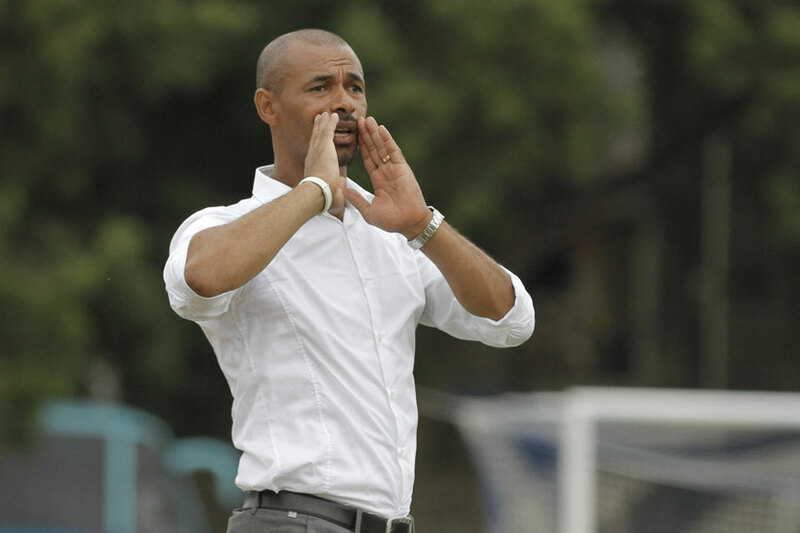 His first season was successful and he took Kogalo to the brink of winning the league. Kogalo were in contention until the last day. This despite fielding a very inexperienced unit. However 2011 was a below par season in which Gor Mahia lost their first league game 3-0 to Posta Rangers and ended up finishing 4th. Once teams figured out to defend against his tactics, he did not adapt new ones. A coach must always adapt and change or else the team becomes predictable. Thus in 2011, fans started to lose patience. Zico left in early 2012 and was replaced by the Camerounian Anaba Awono. In the subsequent years he has coached Harambee stars, SoNy Sugar and Posta Rangers. He also made an attempt at political office, vying for a councillor position in the 2013 elections. Gor Mahia FC offices at Nyayo national stadium, formally been shut down. According to a report posted on goal.com, Gor Mahia owes the stadium Ksh 4.6 million in rent arrears. Gor Mahia have not been fulfilling their rent obligations. Yet a source told goal that the stadium management has been lenient with the club. “They owe us Sh4.6m accrued from the last time we signed a lease with them. The lease was signed in August 1, 2011, and they are required to pay Sh85, 000 a month but the main problem was that they have not been paying rent as per the agreement.” said the source. The source further went on to say that the club has been very haphazard in the manner in which they handle the issue. “Sometimes they go for eight months without paying and when we push them, they issue a cheque of Sh200, 000 and sometimes Sh50, 000. They have been defaulting and now you can see the end result. The arrears are now in excess and a solution must be found before it gets even worse.” continued the source. Gor Mahia will only be allowed back into the office once the arrears are settled. Gor Mahia still pays hefty amounts to rent training grounds and offices. They also lose a significant amount of the gate collections to each stadium they play in. When the players need gym facilities, they typically rent the Mathare United gym facilities. Yet two decades ago, the then President Daniel arap Moi gave Gor Mahia a piece of prime land first at Kasarani then at Embakassi. And how does one explain the fact that the club has almost a dozen officials and still does not have the presence of mind to pay the rent on time? Gor Mahia recorded their first win of the 2017 pre-season when they beat Wazito FC 2-1. The match was played at Camp Toyoyo Where the first team failed, Ze Maria fielded a second string side. They did not disappoint him. The score at halftime was 1-1 with a Gor Mahia’s goal coming from Oliver Maloba. When it appeared Kogalo were set for another disappointing result, Anthony Mbugua scored the winner. Gor Mahia’s pre-season struggles continued when they were beaten 3-2 by lower tier side Administration Police at Camp Toyoyo on Thursday. Gor Mahia were leading 2-1 thanks to goals from Godfrey Walusimbi in the 20th minute and George Odhiambo “Blackberry” But the APs came storming back with Kevin Omondi scoring twice and orchestrating a 3-2 win. It continues a pattern of former Gor Mahia players playing their best games against their former club. New signing Teddy Osok who had been dropped by Kogalo U19, won his way back when he played a brillian match against the Kogalo U19 team. Former striker Ballotieno also gave the club a torrid time in a friendly match played last year. It was Gor Mahia’s 4th pre-season friendly and 4th straight loss. It is bound to put more pressure on the technical staff especially Ze Maria who has yet to find a winning formula. 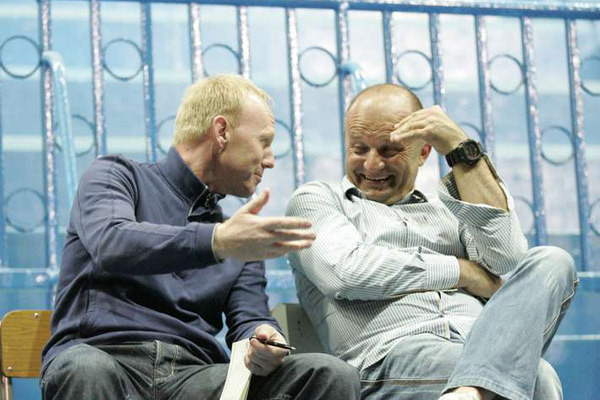 Frank Nuttall and Zdravko Logarusic have been appointed to coach the two most prominent Ghanaian teams. Nuttall was appointed to coach Hearts of Oak a team that has won the Africa champions cup in 2000 and the CAF Confederations cup in 2004. He took to his social media pages to announce his new position. ”Very happy to announce that I have been appointed as Head Coach at Accra Hearts of Oak in Ghana. Looking forward to the challenge ahead!” he said. Logarusic for his part was appointed to coach Asante Kotoko which is perhaps the most famous Ghanaian club. They won the old Africa champions cup in 1970 and 1983. Gor Mahia will play lower tier side Administration Police in a friendly match. According to goal.com, the friendly will kick off at Camp Toyoyo on Thursday at 2pm. A friendly against a lower tier team is perhaps what Ze Maria needs to reduce the pressure on his shoulders and boost the team’s confidence. He has been under pressure because Kogalo have lost three friendly matches against Al Hilal, Thika United and Onduparaka. The last time Kogalo played the APs was in 2015 in a GoTV shield match. Gor Mahia won 3-1 with goals from George Odhiambo “Blackberry” (2) and Meddie Kagere. A group of former Gor Mahia stewards stormed a meeting of officials and newly appointed stewards and physically accosted the Gor Mahia officials. According to the report that appeared in the Standard, one official is said to have fired a group of stewards who have been serving the club for the past three seasons, and consequently hired a new group. When the meeting between the new stewards and the select group of officials was taking place, the other group stormed the offices to cause mayhem,” the source said. “It is about control of the gate collections. Stewards manage the gates and at times control who enters the stadium. Any Gor Mahia game realizes atleast Sh1 million from the game. Do the maths,” the source added. The stewards numbering about six, stormed the meeting and rained slaps, kicks and blows on officials. But apparently no one was seriously hurt. Stewards fall under my docket and it was disbanded on Saturday during the branch officials meeting.Gor belongs to fans and branches not a group of people. There has been two factions of stewards who have been fighting for power and that’s why I took the action of disbanding. Every branch was to forward two names each to me for new stewards.You cannot stop change and that’s the bitter truth. Gor Mahia team manager Jolawi Obondo is alleging that the allegations of lack of transparency leveled by FIFA are part of a scheme by FKF to undermine the club. Obondo told Citizen sports that the simmering feud between Football Kenya Federation (FKF) President, Nick Mwendwa and the club chairman; Ambrose Rachier could be behind the inviting of the Fifa official to frustrate K’Ogalo. The Team Manager added they were ready to work with the Fifa official in whatever they want to know about the club citing the abrupt visit as a ‘non explosive time bomb’. AFC Leopards for their part blamed the previous regime. Secretary General, Oscar Igaida, is insisting they only inherited what is being alleged. “Those are allegations that touch on an activity that took place two years ago and we were not in the office. The person who was running the system at the time is Asava Kadima and so we will call him to come and clarify,” Igaida maintained. Igaida blamed Fifa and FKF for the short notice saying that the club first needs to find out which players were sold without the money being channelled to the club’s account. In selecting a coach to replace Mathew Ottamax, it came down to a choice between Charles Omondi “Korea” and Willis Ochieng. The latter was chosen due to his lower demands. Whereas Ochieng never played for Gor Mahia, Korea had two stints at Gor Mahia. He joined Gor Mahia in 1990 before leaving for Kisumu Posta in 1992. He then returned again in 1994 before leaving again the following year.